Following up cover appearances for both Interview and Harper’s Bazaar Arabia in September, Kim Kardashian West now stars on the recently unveiled cover of Allure, as you’ve never seen her before. Marking her third appearance for the beauty mag, including covers back in 2010 and 2012, the beauty entrepreneur appropriately fronts the ‘Best of Beauty’ issue for October 2017. 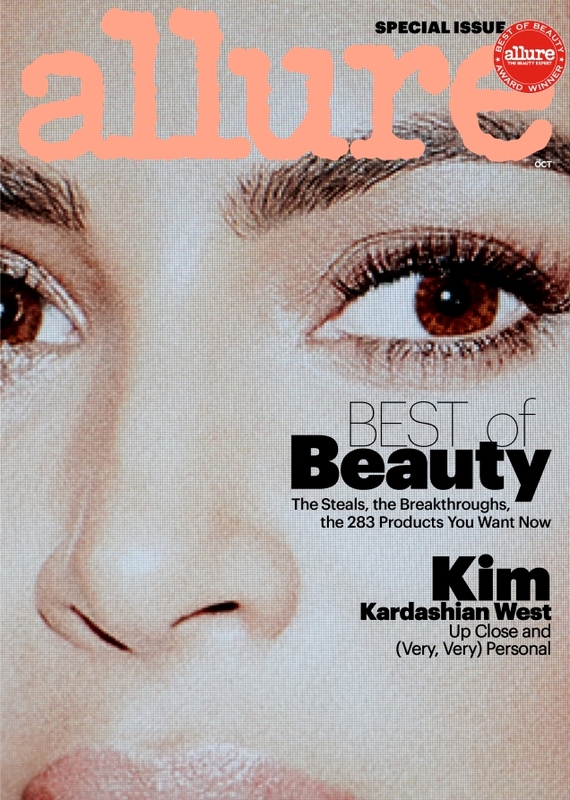 Kim poses for an unconventional cover story photographed by Daniel Jackson, capped off with a mega close-up cover image, which makes a rather bold statement. Or does it? Members of our forum weren’t so sold on the image. “Kim is like the Instagirls of pop culture. Just when you think she’s gone for good, out she comes with a slew of covers. It’s very conceptual for Allure, perhaps too ambitious. Like something Kanye would do if he had his own magazine. This will be a tough sell on the newsstand. I don’t see ‘beauty’ in any sense here,” critiqued Benn98. “I get the concept, but the execution of it turns Kim into a cross-eyed criminal as caught on CCTV. In fact, I’d be pushed to recall a more badly cropped cover shot in all my decades of buying magazines,” voiced tigerrouge. “Kim’s been on a roll with her covers recently — Interview and Bazaar. Too bad the execution of this one is so awful. ‘Very very personal’ and the image is an awkwardly cropped one that looks like a snap of a screencap. She does look cross-eyed and that’s all I’m going to see,” Phuel replied in agreement. Forum member Zposen wasn’t into it either. “I don’t see this cover grabbing attention on newsstands. This is likely not going to sell well for Allure,” he forecast. 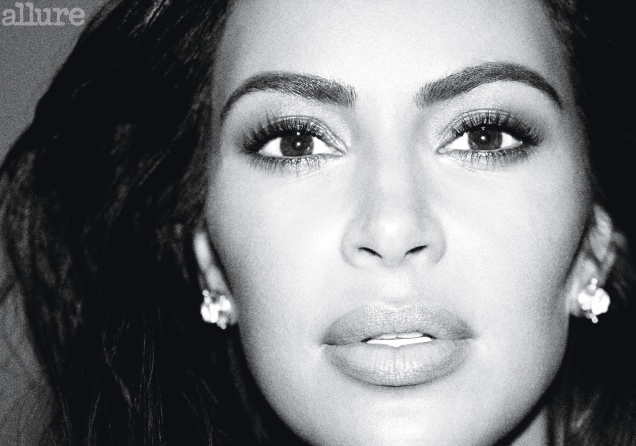 See more from Kim’s cover shoot and join the debate here.